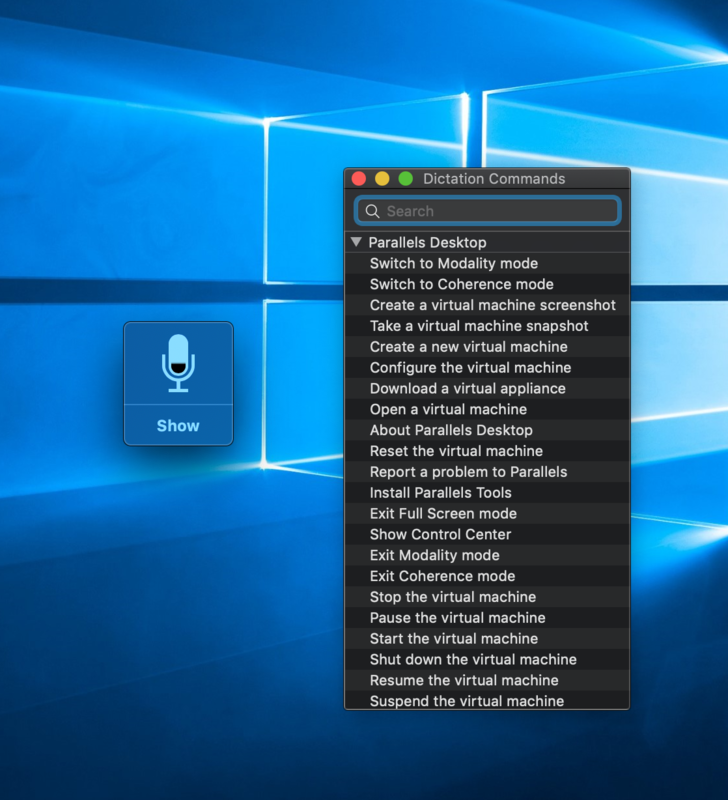 Spoken Commands feature is enabled in Parallels Desktop application. Disable Spoken Commands feature to hide the microphone icon. Navigate to Parallels Desktop icon > Preferences > Advanced > uncheck Enable Spoken Commands option. Restart Parallels Desktop to apply changes. More info about Spoken Commands feature can be found on p. 121 in Parallels Desktop User's Guide.